I can be a solitary person. I like my alone time. I like to figure things out on my own and I like doing things by myself. But I learned something new about myself today while running my first race in awhile. I resist change. In the past I was happy to be a solo runner. I am a very slow runner, mindful of my age and the wear and tear my body has endured. I was pleased to be running at all, and it took me a couple of years to run even one race. Then I ran one run, uncertain of the shouts and cheers the volunteers provided. 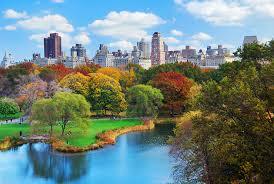 They meant well, but I liked going at my own pace, listening to a book or a podcast, enjoying beautiful Central Park. Today for the first time I ran with a partner. Zena, my husband Larry’s cousin, asked if I would meet her to run, and I said I would. She has been a wonderfully encouraging supporter of my running. She runs in Chicago, as well as around the world when she’s traveling for work. So today I ran alongside her. We talked, and she asked how I felt about run/walking. My friend Jeannette, another supporter and avid runner suggested it last week, but I said I wasn’t sure. Clearly they both knew something I didn’t. The four-mile run today was set to Zena’s clock so we could run nine minutes and walk one minute. I was afraid that if I stopped running I wouldn’t want to start again. But it was a great way to pace the run and feel rejuvenated and motivated. I have always thought myself someone who is open to change, but today seemed more of an exception than the rule. I really enjoyed having a running partner, and I liked the walk run process. I’ll be doing it again. Plus, I may need a good running trainer. As much as I like to do things myself, getting proper support is invaluable. Or so I recognized today. So, between Zena & Jeannette, my running support, and Larry, as well as our friend, Justine, my cheering squad, along with our dogs, Lucy & Nyah, this run was truly delightful. 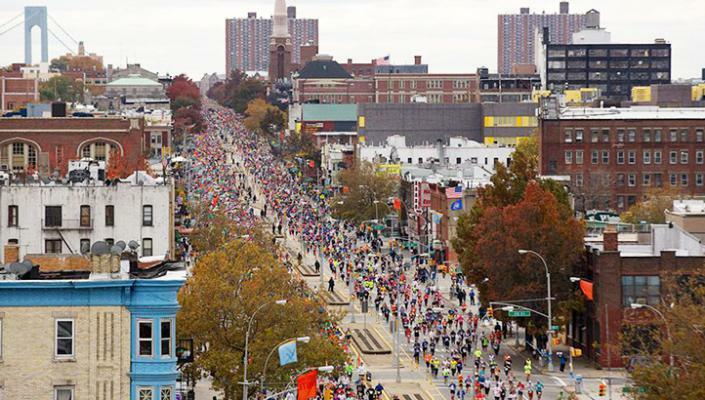 Watching the NYC Marathon runners down First Avenue was simply inspiring. Seeing each person with their own reasons for running push through to continue their relentless course communicates discipline and tenacity. For a few hours this windy, Autumn day I screamed on the sidelines to strangers. I was able to see someone I knew, which was amazing. The marathon is meaningful to those who run their race. They set a goal and mostly achieved it. And, if they fell short, they can be proud of making the effort to complete it. The marathon is very real, but it’s also a metaphor for life. In my work as a psychotherapist, I witness my clients face challenges in their lives. They work hard to overcome the limitations in their lives, like those who choose to do a marathon. And, mostly, they succeed. Then they face another obstacle and move through the pain and constraints to get to the other side of that challenge. And, so on and so forth. Most personal processes are private. The individuals who go the extra mile to accomplish their goals have no one on the side-lines cheering them on. The courage they experience is known to only them. It is a solitary path. Depending on the achievements there may be bragging rights. But perhaps not. My good fortune is being able to witness my clients’ triumphs. I may not be yelling, “You Can Do It!” behind the barricades, but I am inspired all the same. I feel so fortunate to respectfully observe the marathons that change lives, both on and off First Avenue.